Sooo not sure about anyone else, but I can honestly say that as soon as I got engaged, I couldn’t wait to start planning my wedding. I had a ring on my finger at the end of September, and probably one month to the day later, we had a venue scouted and a date picked. What can I say, I jumped into the bride role REAL fast #basic. ((Before anyone gets judgy, we got married 2+ years after getting engaged, so we didn’t rush everrrrrything! - Just felt like I needed to defend myself a little haha)). We picked a great date October 4, 2014 (10.4.14 - so good), and we were so stoked to start telling all our VIPs about it, including an obligatory social media shout out to let everyone else know when we were tying the knot. Fast forward four, almost five months later, and we found ourselves sitting in my now husband’s car, outside of church, FREAKING out, because our priest told us that there’d be a festival at the church that weekend and he wouldn’t be able to perform ANY wedding ceremonies. Seriously, no wiggle room whatsoever. I did what any bride would do in my situation and had a total meltdown, called my mom, told her our perfect wedding date (that everyone in our world knew about and practically didn’t even need a save the date to remember that was our day) was no more. None of my overreactions were extra, either…. Well, before we met my in-laws for lunch just minutes later, I called my venue, talked to our wedding coordinator, and within minutes had a new date locked in. Thankfully, they had had a cancellation, and we could book the weekend before. Happened to be my father-in-law’s birthday, but he was more than happy to share his bday with our big day. Had we gone with another date they had open, I’d be asking my sister to share HER birthday with us. I just felt like my FIL was a lot more understanding 😉 #sorrysis. Yes, I know, that was a lot to process. But for anyone who has had to make adjustments hella fast to ensure their wedding date wouldn’t have to be moved up or pushed back any more than they’d feel comfortable with, I felt it was necessary to share. It can be ONE OF the most stressful scenarios to deal with when you’re just starting to get deeper into the planning process. 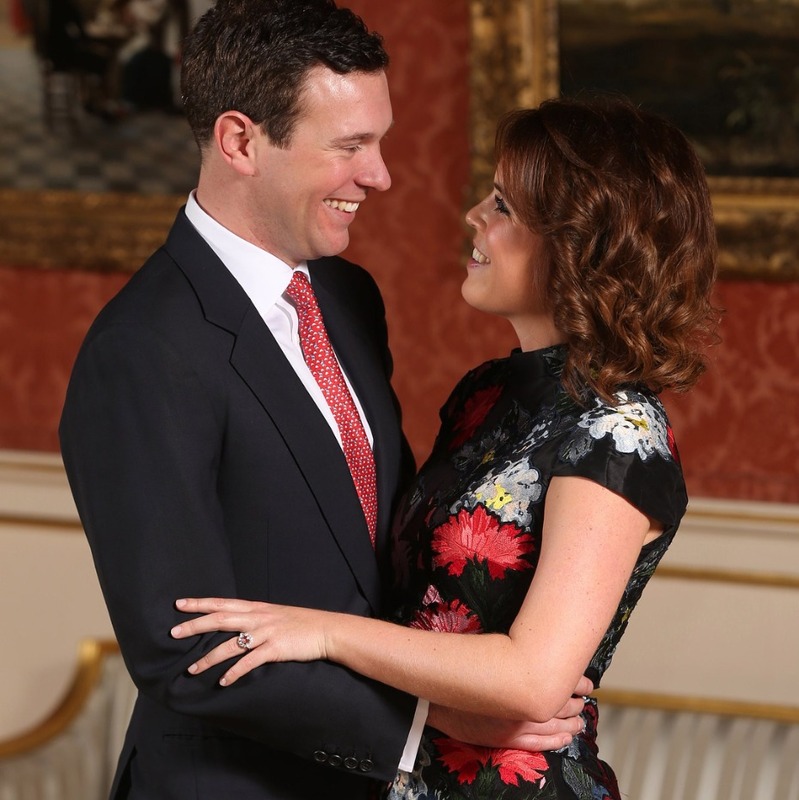 And the just-engaged Princess Eugenie can relate, supposedly. Sooo much royal wedding news to follow! First and foremost, make sure before you book your venue(s) they are on the same page. That means ceremony space and reception space are synced and there are no conflicts of interest. Had we had our conversation with the church early on, we would have known to steer clear of that weekend. Call your venue up ASAP and see what they have open as close to your original date as possible. Sure, I cried about having to say goodbye to 10.4.14, but I was SUPER lucky 9.27.14 was free and clear. Unless you want to get married on an anniversary of your first date, or maybe even the day you met or had your first kiss, try to be as flexible with your date window as possible. Refrain from sending out save-the-dates until you are 100 percent locked and loaded with your official date (we beg you, don’t ever send out more than one save-the-date). It was really no harm, no foul for us, because we still had 6+ months before we’d be sending out our STDs, and Princess Eugenie literally just announced her engagement this week. But to avoid any unnecessary tears and confusing calls to your family and friends, just make sure your date is DROP DEAD DEFINITE. Withhold any bitterness towards your family member or friend, if they have a part in the delay with your day. Obvi it’s hard to keep zen when your cousin is seemingly throwing a wrench in your wedding, but if you can, just think WWPED (what would Princess Eugenie do), and take a page from her poised and professional playbook.